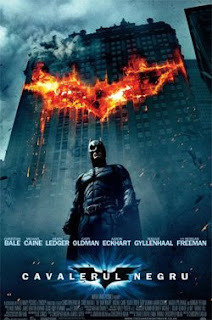 Probably the best movie I’ve seen in months, the Dark Knight, the new movie from the Batman series, manages to keep you in alert for more then 2 hours. The intrigue is long and complex, but not at all boring, and the villains are as bad as ever. Batman has its gadgets as always, but he now lives in a penthouse, and not in its mansion. But the main difference between this movie and other Batman movies is that the decorum is so much more real, Batman finally left the comics books and entered the real world. He is now very real, not at all cartoon-like; you can easily see him on the real-life streets, fighting the mob and the criminals. There was violence with explosions and stuff in all Batman movies, but those here seemed real, not at all SF. Joker, the crazy villain with no rules, was interpreted in perfection by Heath Ledger, we've lost such a good actor so young! So if you want to enjoy a two and half hours of fun, go see the movie! It is really worthing the trip to cinemas.